An orange a day keeps bad eyesight away according to new research. 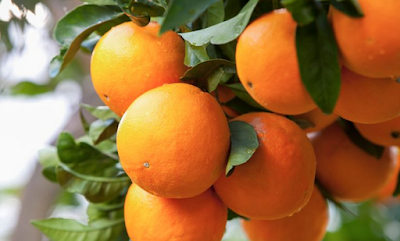 People who regularly eat one orange per day slash their chances of developing macular degeneration by more than 60%. The incurable disease, a painless eye condition that leads to the gradual loss of vision, is the most common cause of sight loss in the elderly. Researchers at the Westmead Institute for Medical Research, in Australia interviewed more than 2,000 adults over 50 and followed them over a 15-year period. Those who said they ate at least one orange a day had more than a 60% reduced risk of developing late macular degeneration 15 years later compared with those who did not. Prof Bamini Gopinath, lead researcher from the University of Sydney said: “Essentially we found that people who eat at least one serve of orange every day have a reduced risk of developing macular degeneration compared with people who never eat oranges. Researchers believe it is the flavonoids, an antioxidant in the fruit, that have the effect. They also looked at other common foods such as tea, red wine and apples and could find no link to preventing macular degenration. Researchers hoped to understand why eye diseases occur, as well as the genetic and environmental conditions that may threaten vision in conducting their research. Previous studies focused on the effects of common nutrients such as vitamins C, E and A have on the eyes whereas professor Gopinath’s study took a new approach. Around 600,000 people in the UK currently have sight loss caused by the incurable disease and around 70,000 new cases are diagnosed every year, equivalent to nearly 200 per day. The team looked at everyday foods such as tea, apples, red wine and oranges but the round fruit was the only food source linked to protecting the eyes against the disease. The research, published in the American Journal of Clinical Nutrition, began in 1992 and is one of the world’s largest epidemiology studies, measuring diet and lifestyle factors against health outcomes and a range of chronic diseases.